If you’re tackling another 5K ever and trying to get your best time, train for your next run with this 10-week plan. Prepare to achieve your personal best and enjoy every run along the way with this 10-week, 10K training plan. Lace up, look strong and feel great on the road to your next half-marathon with this 10-week training plan. Hit the starting line ready and the finish line strong by following this 10-week marathon training plan. 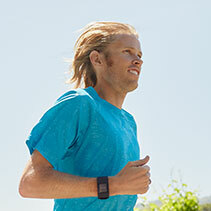 Ryan Hall is a retired professional runner and former All-American for Stanford University. He holds the best-ever American times in the half marathon and full marathon, and represented the United States in the 2008 and 2012 Olympic Games. Learn more about Ryan here.